Brinkworth consisted of several closes of meadow and pasture. Was once known as 'Edmond's farm' and 'The Keys', but now known as Brinkworth. 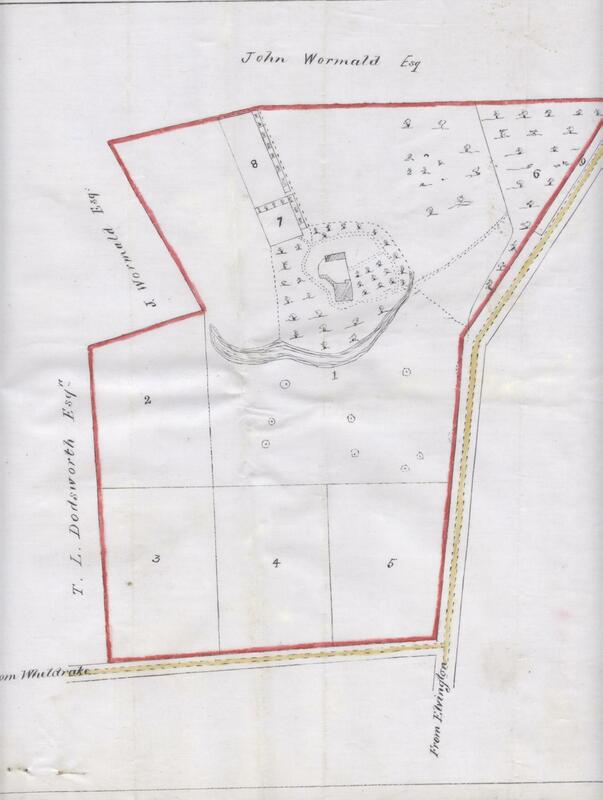 155 acres adjoining upon the New Road leading to Wheldrake, towards the east of lands belonging to Ralph & John Dodsworth but now to Mr John Dodsworth (being formerly part of Elvington Common), towards the west upon the High Road leading to York. Towards the north and upon lands, now or late called 'Ellis's Allotment'. Towards the south all closes of land that are sited and lying and being within the precincts and tenures of Elvington and were in the occupation of James Willis, Robert Gibson and Peter Bayson. And also all manner of Tithes and Tenths what are both great and small and Ecclesiastical dues. Cottage or Tenement with a barn, stable, garth and backside. 2 closes of arable meadow inclosed from the Common, 9 acres and 1 rood. Cottages and closes formerly of Peter Bayson. 3 closes or plantations commonly known as Elvington Moor. 34 acres- recently surveyed at 30 acres, 3 roods and 2 perches. Bounded on the north side by the High road. On the south and east and part of the west by lands formerly of John Daniel and the late Alexander Mather remaining west part by Elvington Glebe.